When his partner dies, a Copenhagen police inspector is determined to find out what happened. Domino is directed by Brian De Palma and will premiere on May 31st, 2019. 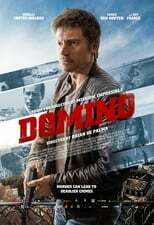 Director Brian De Palma's Crime & Thriller movie Domino is produced by N279 Entertainment & Backup Media & was released 2019-05-31.